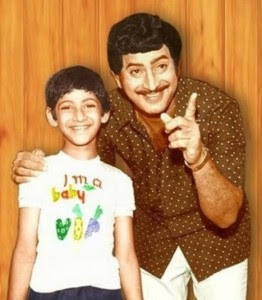 Mahesh Babu is the son of Tollywood Super Star Krishna. The Prince started his career as an Child artist in his Father films. Mahesh Babu after finishing his B.Com from the famous Loyola College in Chennai, He made a debut as hero with the film Rajakumarudu with priety Zinta which was a big hit. A series of hits soon made Mahesh Babu the heart-throb of Tollywood. Mahesh’s performance was applauded by even Ram Gopal Varma and Amitabh Bachchan. Mahesh Babu, married co-star in Vamsi, Namrata Sirodkar in the year 2005. The simple wedding Feb 10 was a very private affair with only close relatives in attendence. “I will select my future subjects keeping my fans in mind. I saw them enjoying Pokiri success more than I did, and that’s why I will only do films which make them happy from here on”.